FOOD MATTERS BOOK + HUNGRY FOR CHANGE DVD !!! It tells all, the education that is so needed, that most people still aren’t aware of. “It explains why we’re overfed and still starving to death”. Click on THE PHOTO for more information on Ebook. That is WHY it works. We put in nutrients, mainly minerals while ‘taking out’ what is stuck to the walls of your intestines, slowing down or reducing the absorption of what you eat. This is part of the reason WHY you feel ‘hungry’ after you eat because you didn’t even take in 50% of what you just ate. However, you just used up a lot of energy to ‘digest’, using all of your bodily resources to get some food through your ‘canal’. This is why people feel ‘tired’ after eating. If we ate according to what our body is truly asking for and we followed that urge appropriately – we would not tire, but be energized. When was the last time you felt energized, after eating? Maybe after a piece of fresh fruit? Live food? cooked food makes us sleepy as it takes so many of our bodily resources to process it. Part of that reason is that it needs to pull enzymes from our bodily tissues, our organs because they are lacking. Research has shown that people who have a chronic disease or have low energy levels also have lower enzyme content in their blood, urine, and tissues. Is that really worth all the effort when you get less than 50% nutrients of what the body really needs? Enzymes are one of the most essential elements in our body. 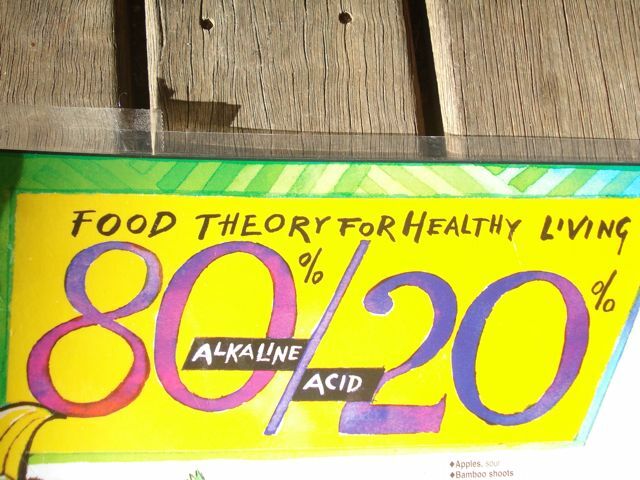 Enzymes are more important than the air you breathe, the water you drink, and the food you eat. Why is this? Enzymes are required for your body to function properly because without enzymes you wouldn’t be able to breathe, swallow, drink, eat, or digest your food. To do all of these things, your body needs some help. You must have enzymes to help perform these tasks. Enzymes are an absolute necessity to live. Our body’s cells are programmed to direct each nutrient to combine and interact with other nutrients and chemicals to create still other chemicals and compounds which, in turn, are used to build and repair the body’s cells, bones, tissue, and organs. The process is called metabolism. Each metabolic reaction is started, controlled, and terminated by enzymes. Without enzymes, no metabolic activity will occur. A body that does not consistently and efficiently metabolize the essential food nutrients necessary cannot maintain optimum health. FOOD ENZYMES are already present WITHIN the food we eat. Food enzymes exist naturally in raw food. If the food is cooked, however, the high temperature involved in the cooking process will destroy the enzymes. Create a great day !! Be mindful of what you take in – words, thoughts and food ! This entry was posted on March 21, 2012 at 11:51 pm and is filed under The Science of Health & Exercise. You can follow any responses to this entry through the RSS 2.0 feed. You can leave a response, or trackback from your own site.